Friends of the Yampa board members and members stand in Juniper Canyon, scouting the Maybell Irrigation Ditch, a diversion that takes water off the Yampa River into the Maybell Valley west of Craig. Photo courtesy of Friends of the Yampa by Kent Vertrees. One morning last August, I waded into the Yampa River to fish. I hadn’t bothered to pull on waders. For weeks, the water had grown warm enough to let me stand bare-legged in the current—but on that day, my skin didn’t even register the shock of cool, mountain water. Instead, the river felt soothing, like my daughter’s kiddie pool after it’s been sitting out in the sunny yard all afternoon. The next day, the City of Steamboat Springs closed the Yampa River to all recreational users. Flows had dropped below 80 cubic feet per second (cfs)—well below the late-August average of 120 to 130 cfs—and the river was, essentially, suffocating. Spiking temperatures and low levels of dissolved oxygen in the water posed a critical threat to the river’s health. In its weakened state, the Yampa couldn’t withstand the load of fly fishers, tubers, paddlers, swimmers and dogs that flock to it every summer day. Fishing guides canceled their trips. Vacationers groaned about foregoing the splashy attractions they’d counted on. And city officials asked themselves: Is there anything we can do to end such voluntary closures, which had happened four or five times over the past decade, on our cherished river? After all, Lincoln Avenue may be the motorists’ thoroughfare, but Steamboat Springs’ other main street is the Yampa River, one of the West’s last untamed rivers (aside from a few dams on its headwaters, the Yampa runs unchecked for some 250 miles, and provides one-third of Colorado’s contribution to Colorado River flows earmarked for downstream states). A few months earlier, in April 2017, the city had initiated a river health assessment and stream management plan to address current problems and meet future needs. But August’s river closure only underscored the urgency of such efforts. If “business as usual” was battering the Yampa, which supports the recreation and tourism industries that Steamboat Springs depends on, then the community might have to re-imagine its modus operandi. Steamboat Springs is hardly the only community to invest in some sort of stream management planning. At least 16 localities have completed or initiated such plans, according to the Colorado Water Conservation Board’s (CWCB) tally. Thirteen of those stream management plans have been launched over the past two years with grant funding from the CWCB, while more are in the scoping process and could kick off later this year. Still other handshake agreements exist across the state to coordinate flows for environmental and recreational uses, just as the implementation of a stream management plan would. In fact, Colorado is in the midst of a veritable stream management planning boom—one triggered, in large part, by Colorado’s Water Plan. The concept of planning for current and future water needs isn’t new. Municipalities are constantly evaluating their populations’ demands and how to provide for them. And as severe weather events become more common, communities are increasingly planning for forest fires, floods and other natural disasters that may impact water sources. Watershed groups, too, from all reaches of the state have worked with the Colorado Department of Public Health and Environment (CDPHE) to complete watershed plans—39 such plans are now in existence, according to CDPHE. Watershed plans typically focus on restoring water quality by reducing non-point source pollutants. But stream management plans, while complimentary to existing watershed plans, are different. Colorado’s Water Plan, published in 2015, raised the bar for the state’s rivers and streams by assigning equal importance to all of the state’s key values—municipal, industrial, agricultural, environmental and recreational. That document also calls for local communities to develop plans that are specific to their streams: By 2030, it calls for 80 percent of the state’s locally prioritized rivers to be covered by stream management plans. To meet that goal, the Colorado General Assembly allocated funding to develop those plans. Last year it earmarked $5 million in grants for projects and plans that protect or restore watershed health and stream function; another $2 million was allocated in the CWCB’s 2018 Projects Bill. That puts Colorado at the forefront of the nation’s stream management planning efforts. “At conferences, people often come up to me and say, ‘I wish we had money for this in our state,’” says Chris Sturm, stream restoration coordinator for the CWCB. Prodded by state leadership, and with money to make planning happen, communities across Colorado have begun to map out their water future using a variety of planning approaches. Two primary types of plans are emerging across the state—stream management plans and integrated water management plans. Stream management plans address environmental needs and recreational goals. Using scientific assessments to measure the ecological health of a particular stretch of water, these plans help communities figure out where and how their waterways are impaired, with a focus on streamflows, so they can develop strategies to preserve or improve their environmental and recreational assets. Integrated water management plans go one step further to factor in consumptive uses from the municipal, agricultural and industrial sectors. Neither type is regulatory—users aren’t obliged in any way to participate—and plans aren’t necessarily appropriate for every stretch of every river in the state. “Local areas need to prioritize which waterways benefit the most from planning, based on where environmental and recreational values are the highest,” says Sturm. Part of stream management planning’s appeal is its potential to save stakeholders money: Healthy rivers cost less than degraded ones and save municipalities from investing millions of dollars to counteract declining water quality in their water treatment processes. Planning also helps communities prepare to address population growth and to become more resilient in the face of climate change. It can even preserve scenic or aesthetic values, which contribute to quality of life or recreational appeal. However, like the Colorado Water Plan that’s behind the planning wave, such efforts require a collaborative mindset because planning demands cooperation among multiple stakeholder groups. 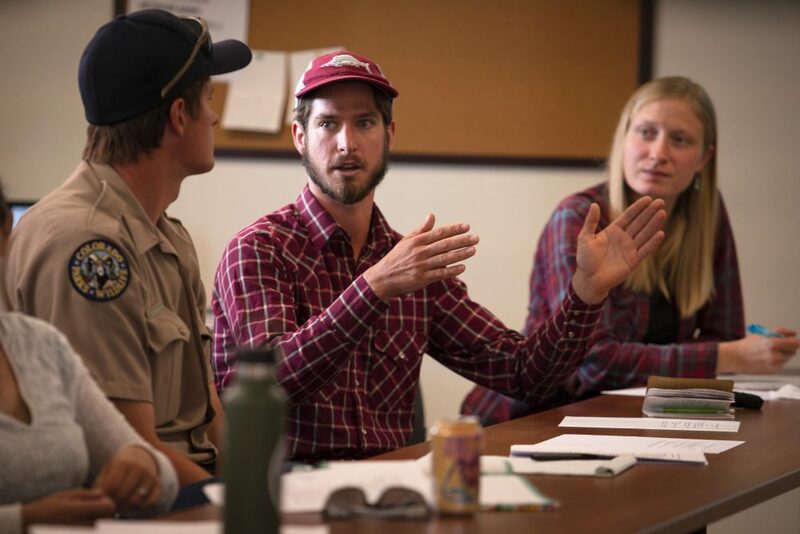 “It used to be that environmental advocates and water utilities and ranchers and recreationists all had separate meetings and discussions,” says Hannah Holm, coordinator at the Ruth Powell Hutchins Water Center at Colorado Mesa University. “But the state water plan brought these communities a lot closer together than they had been before,” says Holm, adding that stream management plans and integrated water management plans have the potential to do that on a more local basis. In the early 2000s, representatives from Grand County met regularly with the Front Range utilities that sought to divert more water from the Upper Colorado and Fraser rivers. Each time, talks dissolved into a volley of slurs. Denver Water and Northern Water had a growing body of customers to serve, and they aimed to do so through the Moffat Firming Project and Windy Gap Firming Project. Plus, their legal rights gave them clear access to water from Grand County. But their existing projects already diverted nearly 70 percent of the local river water, moving it from the headwaters region to the Front Range. As those rural mountain communities watched fish populations shrink, water temperatures rise, and their river dry up, they glimpsed the decline of the ranching and recreational traditions that had long shaped the region’s customs and culture. Negotiations were at a standstill as Northern Water and Denver Water asked Grand County what it wanted in order to advance the diversions. “What you want and need can be two different things,” explains Lurline Curran, Grand County manager at the time. County residents saw an unhealthy river, yet nobody knew what the river needed. “We decided we would take a scientific approach,” Curran says. Thus began Grand County’s stream management planning process. The $3 million plan which covered 80 miles of river was published in 2010, examining existing impacts to streams and aquatic life, flows needed to keep the rivers healthy, and priority segments that were hurting. Importantly, the plan also provided data to negotiate with. “The stream management plan didn’t necessarily unite us, it just gave us the technical information needed to make decisions,” says Mely Whiting, an attorney with Trout Unlimited who was involved with the plan and with negotiations. “It was a humongous commitment on the part of Grand County—an effort to bring science into our discussions and understand the problems before we started throwing out solutions,” Whiting says. The plan gave everyone pause, from the Front Range utilities to the Kremmling ranchers whose irrigation pumps sat several feet above the receding river. “What emerged was a shared goal, that the environment should not be the loser,” says Jim Lochhead, Denver Water’s CEO and manager. Backed by science and supporting data, negotiations led to win-win compromises including the Colorado River Cooperative Agreement and issuance of Grand County’s 1041 permit for the Windy Gap Firming Project. Both agreements will leave the river healthier than it was, Whiting says. Those hoped-for results are already being actualized, as seen through the recent restoration of Fraser Flats. This 0.9-mile stretch of river suffered from a wide channel where flows slowed, sediment built up, and the water level would drop late in the year. Plans for restoration, prompted by the stream management plan, were conceptualized in 2015 and completed in May 2018 by Trout Unlimited, Grand County, Denver Water, Northern Water, the Colorado River District and others. This $200,000 project involved willow and cottonwood plantings along the riparian corridor and the installation of rock point bars that will direct water into a narrow, deeper channel and maintain the river’s velocity when water levels drop. A healthy section of the Fraser Flats project is now open for public fishing. Colorado’s Water Plan asks localities to evaluate their streams’ functional health and to assess flows and conditions needed to support environmental and recreational water uses. It holds up the Grand County Stream Management Plan as an example of what a plan could be, but it doesn’t describe a set methodology for how to measure or develop a plan. Steamboat Springs, for example, wanted to find out how river flows affect water temperature. Adding to existing data on air and water temperatures, the city used its plan, completed in June 2018, to incorporate flow data into a model that can predict how various streamflows and weather conditions combine to impact water temperatures on its 12.5-mile study area, which passes through town. Modeling found that significant flows would be needed to cool the warm water, but also that radiation from the sun is the biggest factor in heating the stream. The city’s stream management plan draws on that science to recommend action items to establish riparian vegetation, like cottonwood trees, to increase shading on the river. The plan also suggests identifying water rights for purchase, contracting with water rights owners, and exploring other voluntary streamflow restoration projects to decrease temperature and restore flows on water-short reaches. Science can also help communities identify a realistic course of action. Data doesn’t always have to light the way to best-case scenarios for river health. On the Crystal River, for example, 2015 studies revealed that restoring the river to perfect functionality required streamflows that would put the valley’s agricultural interests out of business. But those same studies also answered irrigators’ key question: How much water would make a measurable difference to river health? “The idea that ‘every drop counts’ doesn’t really fly,” says Heather Tattersall Lewin, watershed action director for the Roaring Fork Conservancy, one of the lead entities on the Crystal River’s stream management plan. Instead, irrigators along the Crystal River needed to know whether those dry spots that routinely appeared in late summer actually impaired the river’s health. They also doubted that flow increases as small as 5 cfs could benefit the river’s ecology. Turns out, they can—in some years, at least. The scientific findings that explain how much water would help, where, and under what conditions is bogglingly complex. But Seth Mason of Lotic Hydrological, the consulting company that studied the Crystal River, had a knack for turning that data into visual graphs and charts that stakeholders could easily understand. Because local and regional stream management planning is a relatively new field, there aren’t a lot of completed examples to guide communities that are just getting started. So far, only four plans or assessments have reached the finish line—they involve the Crystal River near Carbondale, the Upper Colorado through Grand County, the Poudre River in Fort Collins, and the Yampa through Steamboat Springs. So to help keep each locality from re-inventing the wheel with their planning efforts, the Colorado Basin Roundtable has hired Holm and the Hutchins Water Center to coordinate the development of a framework document that will help inform integrated water management planning in the Colorado River Basin, though its guidance could be used across the state. At the same time, River Network, a national nonprofit dedicated to watershed conservation, is compiling a guide of best practices and lessons learned. But, says Nicole Seltzer, River Network’s science and policy manager, “It takes people trying and running into obstacles in order to say what’s a best practice.” What works and what doesn’t might not be obvious for several more years, therefore River Network’s guidance documents are a work in progress. Already, though, it’s clear that good plans share several key factors. First and foremost: They have to be crafted by locals who have a stake in their community’s water future. “You can hire consultants, but at the end of the day, it takes a trusted community member that sees planning’s opportunity and has the time and energy to be the point person and motivator,” says Seltzer. Even planning efforts that span a vast area are more likely to be successful when they’re broken down into smaller sections with stakeholders that live right on that reach. 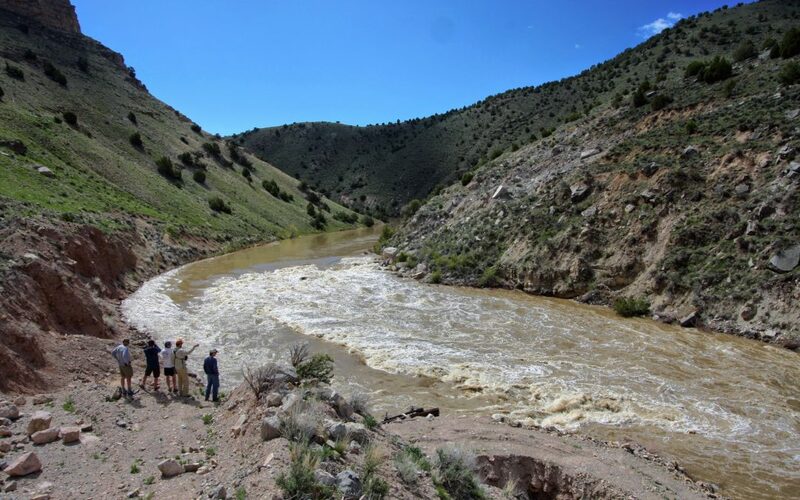 In March 2016, the Upper Gunnison River Water Conservancy District initiated planning efforts because climate change is expected to produce a 10 to 20 percent decline in local streamflows by mid-century—alongside a population increase of 50 to 100 percent. Its integrated water management plan comprises seven sub-basins, each with its own planning groups. That’s because recreational and municipal uses dominate some valleys, while others are primarily agricultural. “We feel that it is very difficult to come up with a one-size-fits-all plan for these different basins,” says Frank Kugel, general manager of the Upper Gunnison district. Sub-basin working groups can tailor their planning to their unique needs—which is what keeps them involved. 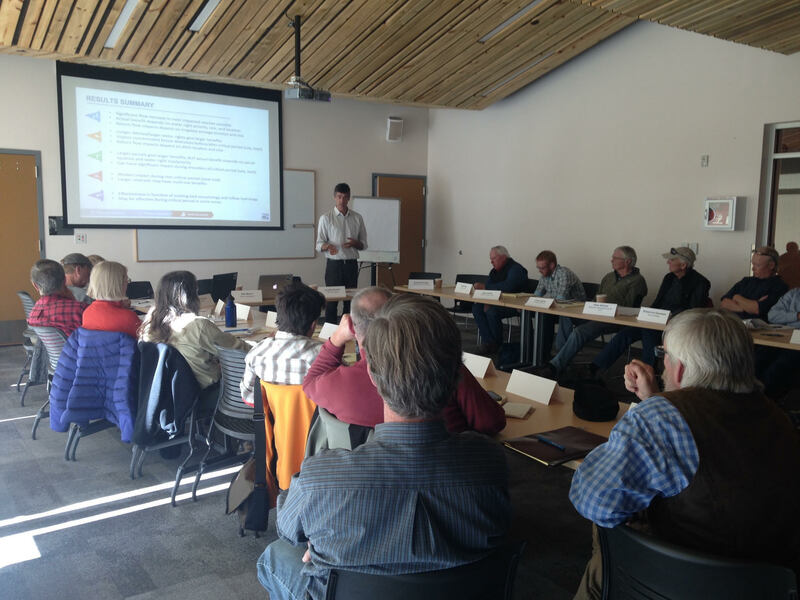 Although the Upper Gunnison River Basin’s planning process involves the full spectrum of stakeholders, negotiations aren’t always easy. The East River sub-basin surrounding Crested Butte, for example, includes a kaleidoscope of users that range from ski area recreation to agriculture to environmental advocates. “If we can make it through that one, we’ll breathe a big sigh of relief,” says Kugel. Yet often, the most powerful and influential user groups might see little need to participate in the planning process. On the Upper Colorado, for example, the main driver for Denver Water and Northern Water, the river’s two biggest diverters, to enter discussions with Grand County and its stakeholders was that they needed local support to acquire the permits for their reservoir storage projects. Generally, though, senior water rights holders aren’t compelled to participate in water plans, which rely on voluntary cooperation. Getting everyone to the table—particularly users that are poised to make the biggest difference in the river’s future—doesn’t magically happen. Stream management plans typically follow a similar sequence of phases. First comes the survey of stakeholders and an assessment of their needs. Then, plans identify desired outcomes, develop an action plan to achieve management objectives, move through an implementation phase, and finally turn to monitoring the results. But for any plan to truly influence the stream it targets, it must involve key users from the very start. And since individuals and institutions are loathe to donate time to projects that seem to offer them little benefit, they need to understand what they stand to gain. “You’ve got to identify how each stakeholder can get what they want or need by participating,” explains Seltzer. Other factions, including the recreational and agricultural communities, may not feel motivated to attend planning sessions unless they’re nudged to join in. Farmers and ranchers struggle to take time off work to show up for meetings—especially when they suspect they’ll walk in with bullseyes on their backs and all eyes on their water, says Paul Bruchez, a sixth-generation rancher and fly-fishing guide who ranches and guides at his family’s Reeder Creek Ranch on the Upper Colorado River near Kremmling. Sometimes, ranchers are simply reluctant to have their neighbors and governments peering over their shoulders and scrutinizing their operations and water management, says Holm of the Hutchins Water Center. 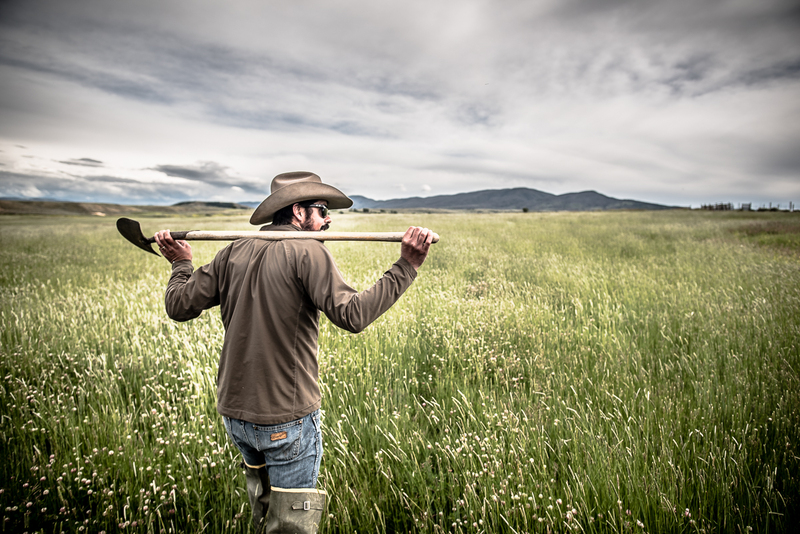 Participating in planning processes often requires ranchers to reveal intimate details about their irrigation practices, and that kind of information-sharing comes hard for a culture that historically holds its cards close to the vest. Besides, says Kugel, some agricultural families have senior water rights that provide them with all the water they need for their personal production, so they see little incentive to box themselves up with other stakeholders in a boardroom. But the agricultural and recreational communities, including senior water rights holders, also stand to benefit from planning. When Grand County worked through its stream management plan, nearby ranchers and landowners were suffering from low flows. Declining river levels exposed irrigation pumps, making the physical feat of diverting water impossible in some spots. Such was the case at Bill and Wendy Thompson’s Riverside Ranch Company in Kremmling. Led by Bruchez, landowners who had previously formed a coalition, Irrigators of Lands in the Vicinity of Kremmling (ILVK), worked to analyze persistent ecological problems on a 12-mile reach of the Colorado River that ran past their ranches. Bruchez foresaw the end to ranching on his property and neighboring land unless he could enact remedies on a watershed scale. The ILVK used the Grand County Stream Management Plan to leverage funding from the Natural Resources Conservation Service and CWCB to implement diversion and stream enhancement projects, which would boost water levels for irrigation and also enhance river habitat. 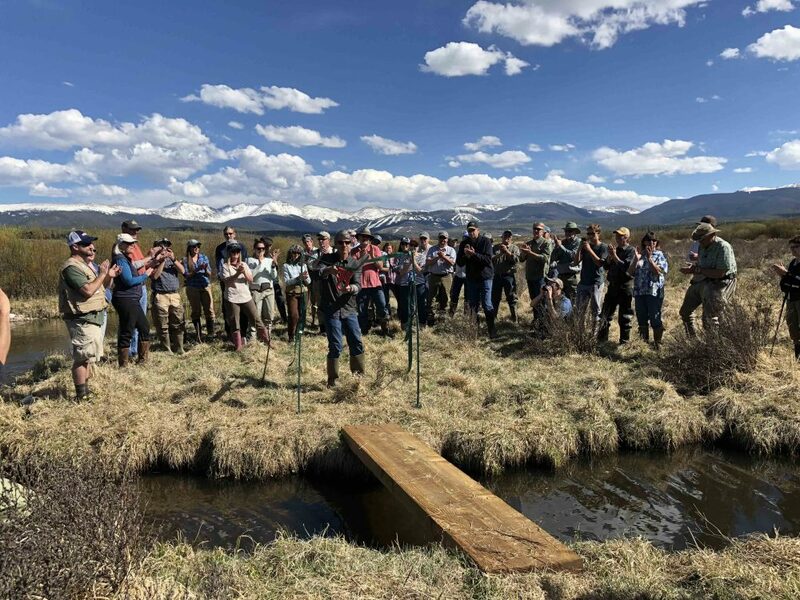 A stream restoration project on the Thompson’s ranch solved the couple’s irrigation woes, helped bring back some of the reach’s long-lost bug populations, and attracted trout. When neighboring landowners saw the result, they clamored to get similar structures built on their reaches. “The reality is, we’re all facing water deficits,” says Bruchez. Colorado’s population is expected to nearly double by 2050, when the state may be 560,000 acre-feet short of its water needs. “We’ll all be in that pickle, and that’s a scary thing for ag to face,” says Bruchez. Even if stakeholder participation is initially reluctant and protectionist, that’s OK, says Seltzer. “Over time, that can soften. Common interests take time to develop,” she says. Being a forerunner in the planning movement has its downsides. There’s no set methodology for creating a stream management plan. And it’s hard for communities to estimate how much planning their money will buy—communities often propose a project scope and apply for grants before hiring the consultant to advise them about scope and funding. “You can get halfway into the planning process and realize that to do what you had hoped to do, you’ll need twice the money,” Seltzer says. But there are resources coming down the pike. The planning framework commissioned by the Colorado Basin Roundtable includes both a guidance document and a set of data dashboards that facilitate exploring historical flow patterns, water quality data, water use and shortages, and previous studies of stream health. The dashboards cover every sub-basin along the mainstem of the Colorado River, from Grand County to the Grand Valley. That way, local planners don’t have to duplicate existing stream science, but can instead fill in the remaining gaps. For now, communities need to decide whether to jump in and join the stream management planning movement, or wait and see how initial planning efforts play out. The coming years will present more examples of successful plans that can serve as models. “My hope is that we can create different examples at different scales,” says Seltzer. Trinidad, on the Purgatoire River, is planning for a very discrete five miles of river, while burgeoning efforts on the basin-wide Yampa River span nearly 300 miles. But if communities decide to take a wait-and-see approach, money for planning might not be available when they decide to jump in. “The CWCB budget is evaluated annually, so program funding fluctuates and we can’t see beyond 2018,” says Seltzer. Still, if communities aren’t sure how much they want to commit to planning, or if they don’t have the capacity to tackle planning whole-hog, they can approach it in phases. For example, the Mountain Studies Institute in southwestern Colorado sought a grant to do stakeholder work only for a plan on the upper San Juan River. Later, the Institute can apply for funding to complete environmental assessments and an implementation plan. Big or small, speedy or slow, stream and integrated water management plans can help all communities ease the sting of our future’s hard realities. In Steamboat Springs, as elsewhere, demands on the Yampa River are only growing—but planning has helped stakeholders feel optimistic about its future. “We’ve created a report card that analyzed the river’s health across five separate sections, and now we’re reaching out to various groups who can get involved to create solutions,” says Dan Chovan, who has participated in Steamboat Springs’ stream management plan as president of Yampa Valley Fly Fishers and as plant operator for the city’s wastewater treatment facility. Reforestation groups have expressed interest in planting cottonwoods and other shade trees along the Yampa’s banks to cool its water; others have set their sights on fire prevention along Fish Creek, a tributary that forms part of the Yampa’s broader watershed. City officials are also looking at the stream management plan to guide future building setbacks and make sure they provide for places where the river can safely overflow its banks during spring runoff. This growing momentum suggests that, although it’s difficult to balance diverse interests through stream management planning, those combined forces can have remarkable benefits to long-term river health. “We’re hoping that, through planning, we’ll reduce or even eliminate the need to close the Yampa,” says Chovan. That’ll mean better fishing—and vitality for the lifeblood upon which communities depend.